Bright and Breezy Crafts: I'm back! This is my place, where I can show my "bright and breezy" crafts! feels like we have been in the middle of a whirlwind! To cut a long story short, we have moved house. It has been a very stressful time. BUT... we are now so much happier! and our 2 cats have just started playing out - and LOVING the new back garden! AND I have been able to make a card! I still have ...um... 10 underbed boxes left to unpack in here! But I have got enough stuff out to start creating again. So - here goes. The first card I have made in our new place.. 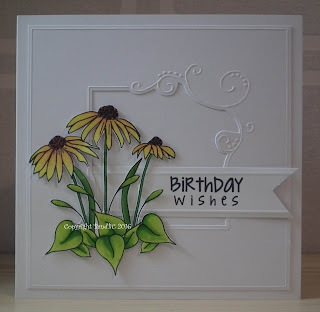 This is for Patties Creations November challenge - "Birthdays"
The lovely image is called "black eyed susans"
and I just love the simplicity and delicacy of this image. (after fussy cutting around it). and the sentiment was a freebie I found at Desert Divas. 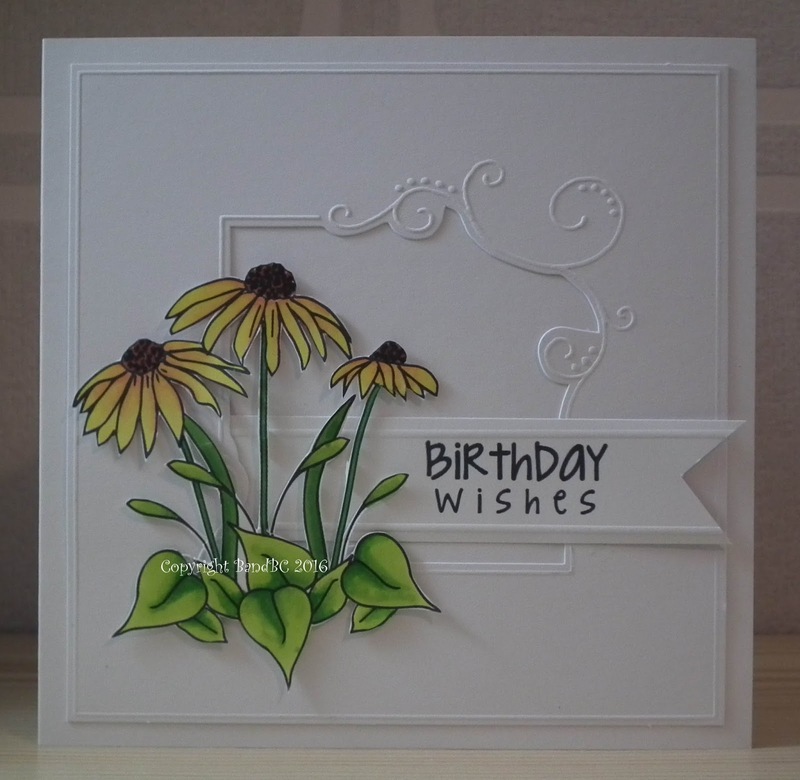 The simplicity of your card is just stunning! It's the perfect card! Thanks for joining Fun~day Friday at Jo's Scrap Shack. Thanks for visiting my blog today - I hope you will find something you like! Hopefully, some of my works may inspire you, but please don't copy my work - and don't use it to enter any challenges or competitions... all my works are copyrighted to me. Thanks for your understanding. I design for the Colour Crazy Challenge! I design for Glitternsparkle blog!